Dawn Lightfoot, 30, and her boyfriend, Matt Schiavon had planned to be in Nepal on April 15. Both are longtime San Diegans who attended San Dieguito High School Academy. A Carlsbad, California, woman has been waiting by the phone for any news on her daughter, who she reported missing after Saturday’s deadly earthquake in Nepal. Dawn Lightfoot, 30, has been teaching in South Korea for two years and planned to travel around South East Asia with her boyfriend, Matt Schiavon. Schiavon is now also among the missing. Matt Schiavon and Dawn Lightfoot, both graduates of San Dieguito High School Academy, were traveling through Asia according to Dawn's mother. “I want to say I know she's okay and I feel she's okay," said Lightfoot’s mother Cindy Barrows. "If anyone would know anything to please let us know." According to her itinerary, Lightfoot planned to arrive in Kathmandu, Nepal, on April 15, which would put her in the area of the powerful quakes that have rocked the country. The death toll from the 7.8-magnitude earthquake in Nepal soared past 4,000 and aid agencies warned that it could skyrocket higher once rescuers make it to rural communities that thus far have been inaccessible, NBC news reported. Vast tent cities have sprung up in Nepal's capital, Kathmandu, for those displaced or afraid to return to their homes as strong aftershocks continued through Sunday. Barrows said she’s concerned her daughter doesn’t have shelter or water. On Sunday night, a friend helped Barrows register Dawn's information as a missing person through the International Committee of the Red Cross. Barrows said over the past two years she’s been communicating with her daughter via Facebook and photos. Now she’s hoping to get a call, text or Facebook message. Schiavon’s older sister, Joanna, lives in Santa Barbara. She and her parents are trying to stay positive but it’s not easy. The last time the family heard from the couple was a Skype call on April 13. Schiavon and Lightfoot talked about their upcoming 18-day trek in Nepal. 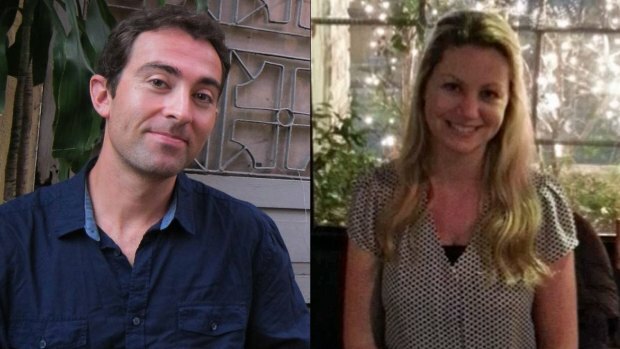 On April 15, they received an email saying the pair had arrived safely in Kathmandu and haven’t heard from them since. Joanna said the couple was scheduled to finish the trip on May 2. The Schiavon family has reached out to the company Earthbound Expeditions to try and contact Lightfoot and Schiavon. They were told the two hikers should be okay but the representative didn’t have any specific information. Since then, they’ve gotten no updates. They're trying to fill out forms through the website for the U.S. Embassy in Nepal but many of the links are not working. Barrows keeps checking her daughter's itinerary. Lightfoot has been set to fly into Los Angeles International Airport on May 27. “If she has Matt, and her and Matt are together, they’re like a rock,” Barrows said, adding that it would be likely her daughter and her boyfriend are helping those affected by the quake. Lightfoot and Schiavon have traveled the world. This was their big last vacation before settling down to become teachers, according to Barrows. Both went to Cardiff School and San Dieguito High School Academy in San Diego County. Friends say Schiavon graduated from La Costa Canyon in 2002. High school friend Mackenzie Foote said she is praying for his safe return. “Matt is an adventurous guy with the kindest heart,” Foote said. Lightfoot graduated from San Diego State University with a business degree before moving to San Francisco with Schiavon. The couple lived in the Bay Area for four years and got their teaching credentials at San Francisco State University. 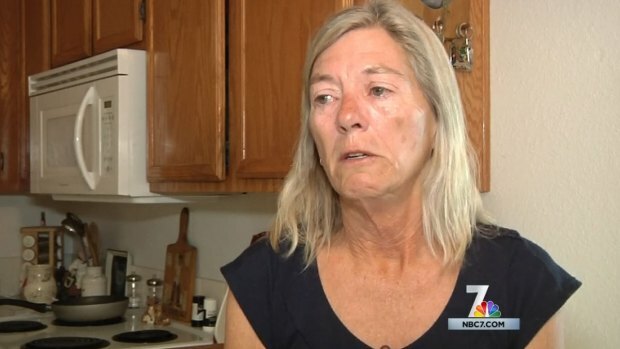 NBC 7's Liberty Zabala talks with Cindy Barrows of Carlsbad who is hoping to hear from her daughter Dawn Lightfoot and her daughter's boyfriend Matt Schiavon.